with Project Mayhem and Ster Kinekor Gateway, Durban! Winners will receive 2 tickets to see Batman vs Superman: Dawn of Justice in IMAX 3D on 25th March 2016, at 8:45PM at Ster Kinekor Gateway, Durban. 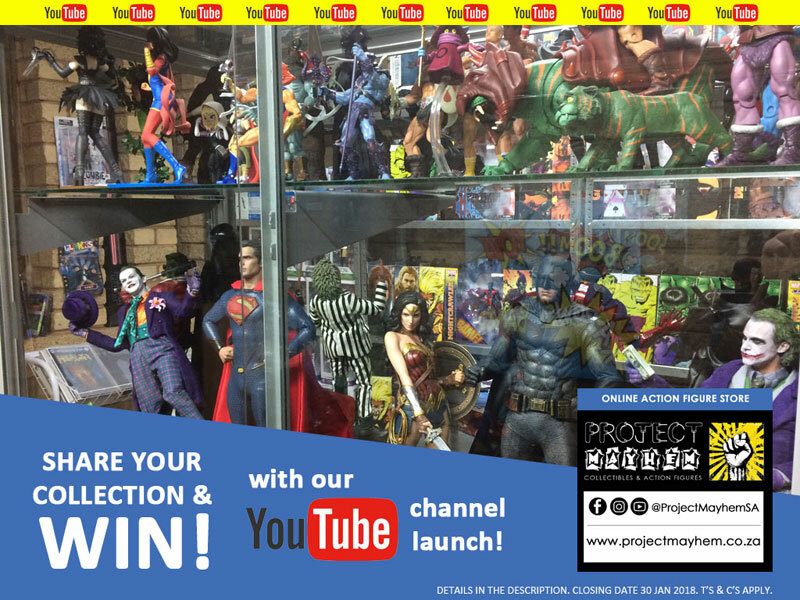 Winners will also receive a Pizza Hut Pizza each as well as the chance to experience the movie along with Project Mayhem’s rapidly growing local Geek Community! So get to it and let us know why you should be part of one of THE biggest movie experiences 2016 has to offer! – Prize may NOT be exchanged for cash. – Entrants please make note of the date, venue and your personal availability for this event. – Selection/Winner choices are final. – Only entries using the preferred hashtags will be considered as a successful entry. – Winning tickets are valid for the performance date above 25 March 2016 at 8:45PM IMAX3D, Gateway, Durban. * Kindly advise if you would like to be contacted via alternate method. This giveaway is in no way sponsored, endorsed, affiliated, associated or administered by Facebook. Please note that Facebook is not liable for any miscommunication, errors and other uncertainties that may arise as a result of this giveaway.